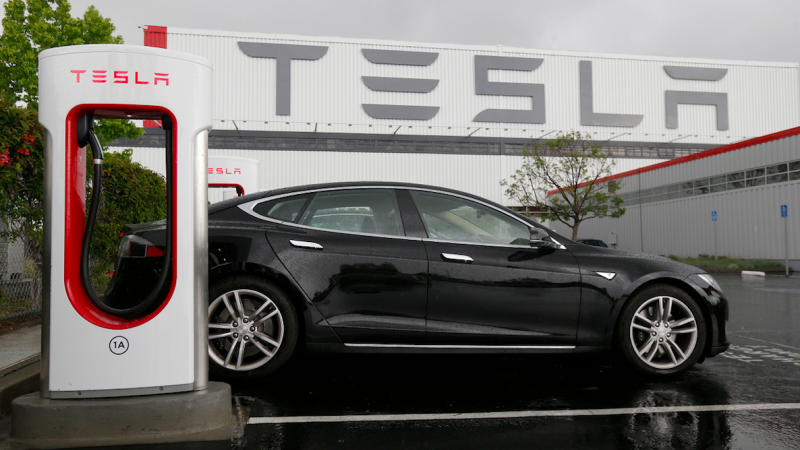 Tesla aims to rollout a Supercharger network that’s double in size later this year. It would be a sorely needed investment for electric vehicle infrastructure across the U.S. Now, the company is once again floating the possibility of opening up the network to other automakers. And it should. The initial consideration of giving other vehicles access to the Supercharger network came in late 2015, when Tesla CEO Elon Musk said it’s “intended to be available to other manufacturers if they’d like to use it.” The Supercharger network is a robust offering of charging stations for Tesla’s all-electric vehicles, so Musk’s remarks were notable for that reason alone. Though he also acknowledged that congestion was still a problem on the network. But with the additions to the network—Tesla, for instance, says some of the newer stations will be able to accommodate “several dozen” vehicles at once—congestion is expected to be less of an issue. And with newer vehicles on the road that can utilize the DC fast-charging capabilities of a Supercharger—Electrek points out the planned announcements from Porsche, Audi and Mercedes-Benz—that means more cars could charge up faster, creating an even more streamlined process. If EVs can catch on, infrastructure’s going to be needed. Tesla already has a decent-sized charging network in place. Giving other carmakers a slice of the action helps solve part of that problem. It seems like a no-brainer.